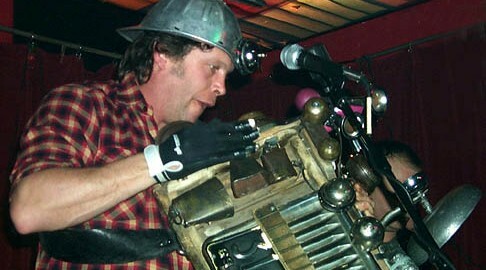 Washboard Hank writes and performs very entertaining songs, and plays a number of instruments, including guitar, mandolin, banjo, dobro, “stradovarious washboard” and “kitchen sink tuba”. He has released several albums, including a children’s album called “Big Fun for Kids”. Based in Peterborough, Hank will be in Ottawa as part of a cross-Canada tour. Founded in September, 2012, The Sparrows are home-schooled children between 4 and 10 years of age who love to sing. Singing develops cognitive, artistic and social skills while celebrating our shared human experience. The Sparrows have performed in concert halls, seniors’ homes and festivals, and have been featured on radio and television programs. Musical director Chris White composed several of the songs in the Sparrows’ extensive repertoire, including a song that celebrates the joys of home-schooling! Tickets are $5 per person. No charge for babies! You will receive a receipt by email after purchasing tickets online. Your name will be on our list at the door on April 30th — you don’t need to bring a ticket or receipt for online purchases. Please note that you can use a credit card to purchase tickets without having a PayPal account. After you click on the PayPal button, just click on “Don’t have a PayPal Account? Click here.” You can then proceed to fill in your credit card information — there’s no need to be registered with PayPal. This concert is presented by Folkzone and the Ottawa Folklore Centre.